Hape Geometrics Kid's Wooden Doll House Just $34.71! Down From $60! PLUS FREE Shipping! You are here: Home / Great Deals / Amazon Deals / Hape Geometrics Kid’s Wooden Doll House Just $34.71! Down From $60! PLUS FREE Shipping! Hape Geometrics Kid’s Wooden Doll House Just $34.71! Down From $60! PLUS FREE Shipping! 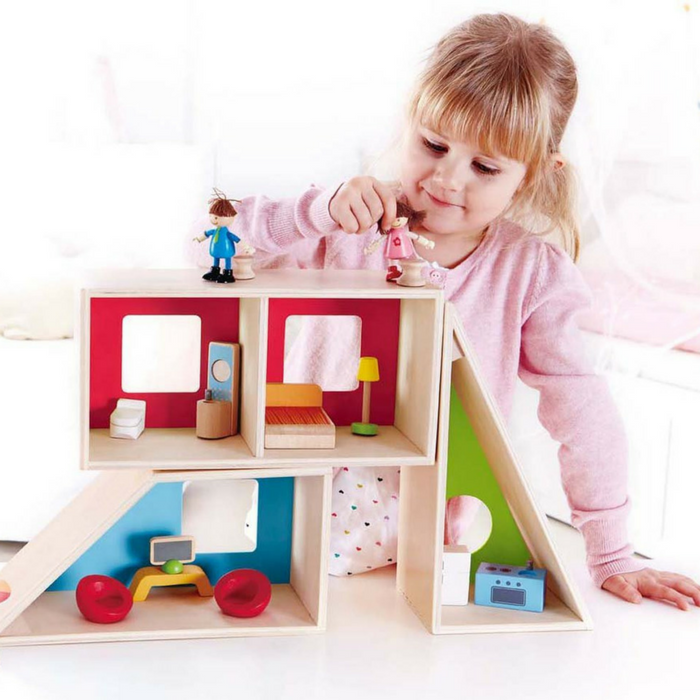 At Amazon, you can score this Hape Geometrics Kid’s Wooden Doll House for just $34.71 down from $59.99 PLUS FREE shipping! A future architect’s dream! The Geometrics Doll House from Hape provides a unique and creative alternative to the traditional doll house. A triangle, divided rectangle, and a polygon make up the modular rooms of this house, and can be rearranged over and over again for a different design every time. Line them up side by side or stack them up high, the possibilites are as endless as the hours of entertainment children will have building their dolls’ new home. Includes stylish furniture to decorate the interior, and a doll family excited to move in. Encourage your child to create stories and adventures for their dolls, developing imaginative thinking and storytelling skills. Made with wood sourced from environmentally sustainable forests. Durable child safe paint finish and solid wood construction make this a toy your child will love for years to come. Hape toys stimulate children through every stage of development and help nurture and develop their natural abilities.